Lori Ashmore Peters - Legal & Financial Planning Seminar | The Ashmore Law Firm, P.C. 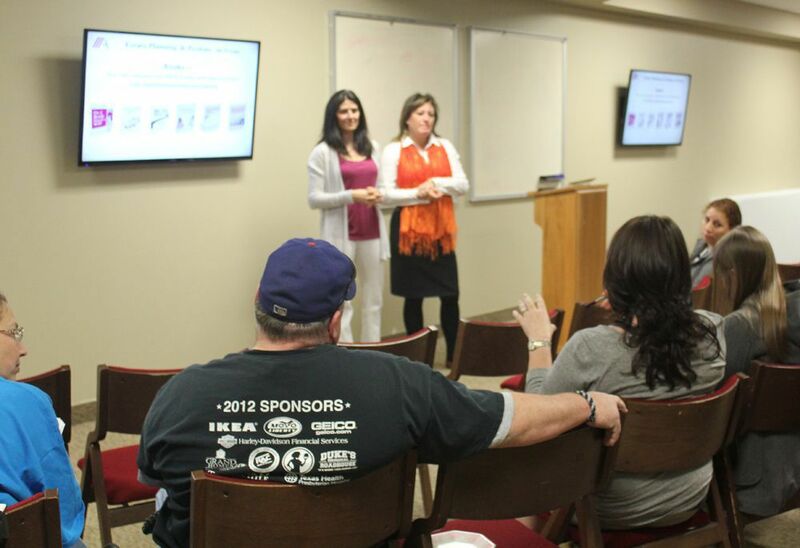 April 2014 - Lori Ashmore Peters from The Ashmore Law Firm and Frances Gardner from Armor Wealth Management joint presentation on financial and legal planning in the event of the loss of a spouse or loved one. Mrs. Gardner’s presentation included information about the basics of financial planning. She discussed monthly budgeting, setting financial goals, maintaining good credit, having adequate insurance coverage, basic investment principals and retirement considerations. Mrs. Peter’s presentation covered estate planning and probate in Texas. Her presentation included information about community property and separate property, probate assets and non-probate assets, management of affairs during disability or incapacity, management of affairs before death, trusts for asset protection, estate taxes and the basics of the probate process. Learn more about Journey of Hope Grief Support Center, Prince of Peace Catholic Chruch & Armor Wealth Management.